It must be tough releasing a game annually, especially when the game you’re releasing has had its problems over the years. 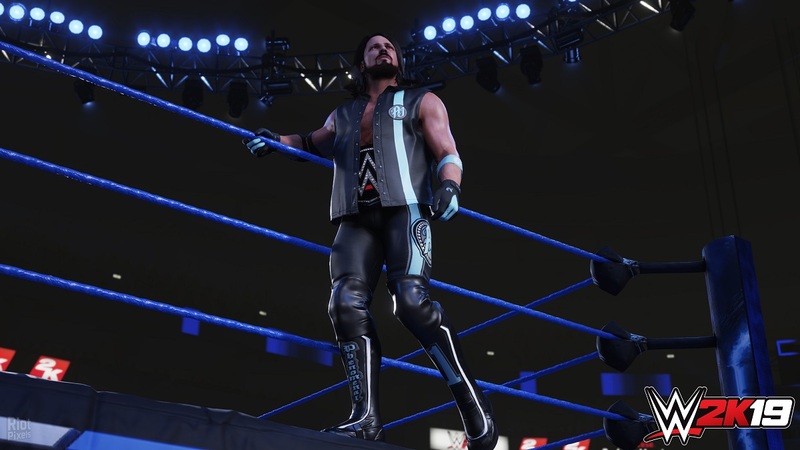 Since 2K acquired the WWE franchise, the games have always failed to transition to something that the fans are happy with, and it’s not about being picky or ungrateful – WWE 2K has harboured many problems, such as empty career modes, dreadful commentary, janky transitioning in matches, and a plethora of bugs that ruin the magic of wrestling on the greatest stage. WWE 2K19 is a much better entry, fixing grappling and striking to a point it feels really good to play, and adding modes that actually make you interested in them without them feeling redundant in the grand scheme of things. There are still some issues, but this year’s entry is much stronger, and finally feels like 2K Sports is taking note of what the fans want and fixing what the community has been struggling with. 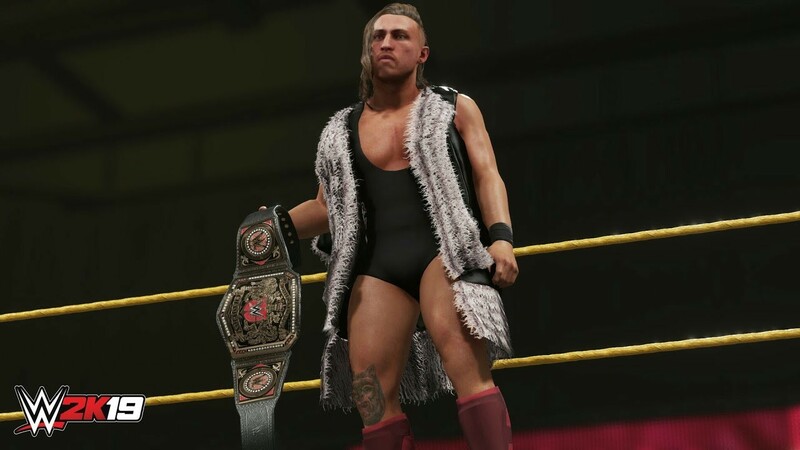 One of the most noticeable things in WWE 2K19 is how much the actual wrestling has been improved. It’s difficult to find the right balance between simulation and entertainment, mainly because wrestling is all pre-determined in reality, so how do you find an acceptable level in which to build on? Striking has more impact, with each doing the right kind of damage to stun opponents and break any opportunity they may have in reversing, and when you grapple, moves will keep the action flowing as it would on RAW or Smackdown. Learning exactly when to hit R2 to land a reversal may take time, but it feels much fairer, and there’s no chance an opponent will reverse every move you pull off due to the limit placed upon them. The new Payback System is a wonderful addition because it gives you a couple of tools to take into battle which add to the realism. For example, if you get hit with a Superman Punch by Roman Reigns, the Resilience perk will let you instantly kick out of a pin, or if you like to play dirty, you can spit mist into your opponent’s face a-la The Great Muta. There are two levels to the Payback System, and the more damage you take the level will increase from one to two. It allows you an opportunity to turn the tide of battle by getting the edge on your opponent if you’ve been suffering from a string of heavy attacks. Certain match types have seen minor improvements, like Hell in a Cell. One of the main problems people had was having to use an OMG move to get to the outside of the cell. Now you can use standard moves to break out, but it’s still awkward moving around between the ring and the cell. Despite this, fighting on top of the cage harks back to older titles, whereby you can use moves to drop opponents through the top into the ring, and you can also start your ascension to the top from any direction as opposed to the left and right sides of the cell. There are loads of new options for 6-man and 8-man matches, such as Ladder Tag and 4-way Tags, but on top of the additions the stability of having so much happen on screen is much better. There’s less lag (if any) and you can change your focus to another wrestler without the action becoming messy. There are brand new 5-man matches too, and once again you’re given a whole new range of match options to enjoy. WWE 2K19 has so many different modes that there’s no way you could get bored. 2K Towers is a simple yet fun addition that sees you fighting through a handful of superstars to acquire VC to spend on unlocking new wrestlers and stats for your created superstar. Each tower has a different theme, such as the British Invasion which sees you fighting five British Superstars like Tyler Bate, Pete Dunne, and the British Bulldog. If you’ve purchased the Wooo! Edition or pre-ordered to get Rey Mysterio, there are two towers centered around them. 2K Showcase is back, and I can’t think of a superstar more deserving. Daniel Bryan has had one of the most tumultuous careers which has seen him reach the highest heights and the lowest lows. Watching the segments hosted by Bryan in between matches is lovely because he’s such an endearing human being. Each match has certain stipulations you have to complete, matching what happened when they took place on TV. It’s fun to relive his career, and a nice reminder that nice guys don’t always finish last. WWE Universe has always been a favourite of mine, and with the new improvements it’s the best it’s even been. The Money in the Bank allows you to cash in against any champion, and you can choose which superstars will challenge in different belt categories. You can also put six belts onto every show as opposed to four from last year, and promos now have more focus on recent events that have taken place, such as losing the title or wanting a rematch. I never play every match in WWE Universe, so the option to pick a winner when simulating is a massive deal – not only does it skip the match, but it gives you more control when shaping specific rivalries. There are plenty more additions, many minor tweaks, but all together it makes for a better experience. One of the bugbears for fans has been how you use you created character in the story mode, or MyCAREER. Going through the heavily detailed customising options only to have a lacklustre story mode takes the biscuit, and whilst this year’s isn’t exactly revolutionary, there’s definitely a sense of achievement. Starting off as an indie star, you quickly get a chance to sign with WWE, but it goes horribly wrong. The story is humourous – bizarre at times – but much more engaging than it has ever been. There are far too many load screens which drag out the story, and some of the plot is wishy washy, but the inclusion of real voice work by the superstars makes it an enjoyable mode to play. Creating your character has been streamlined, and it’s a welcome change. There are five wrestling styles to choose from, such as Technician, Giant, and Striker, each with sub-styles to give you an exact fighting style. The MyPLAYER Wizard lets you create someone’s looks and personality quickly, but if you’re someone who spends hours in the suite, that option is still there. As you play through the story, 2K Towers for your MyPLAYER, and the online Road to Glory mode (which has new features too), you’ll earn VC to purchase points to use for building attributes, tokens to buy loot packs which have new moves and items in them, and Skill Points that’ll help you improve via the Skill Tree. WWE 2K19 features so many superstars from past and present, each animated wonderfully. Featuring original theme songs and animations, playing an 8-man match where guys like Rick “The Model” Martel, Dusty Roads, Bam Bam Bigelow, and Brutus “The Barber” Beefcake are a part of, is a fan’s dream. The visuals remain strong in every way, and the sound design is excellent, apart from the commentary. Unfortunately, you’ll hear the same line repeated over and over again, as well as both commentators talking over each other for more than 10 seconds at times. The consistency is poor as well, especially in 2K Showcase. In one of the matches you’re wrestling The Miz, and I had the commentary team talking about an 8-year rivalry and a spot on Smackdown’s talk show Talking Smack – two things that hadn’t even occurred yet! 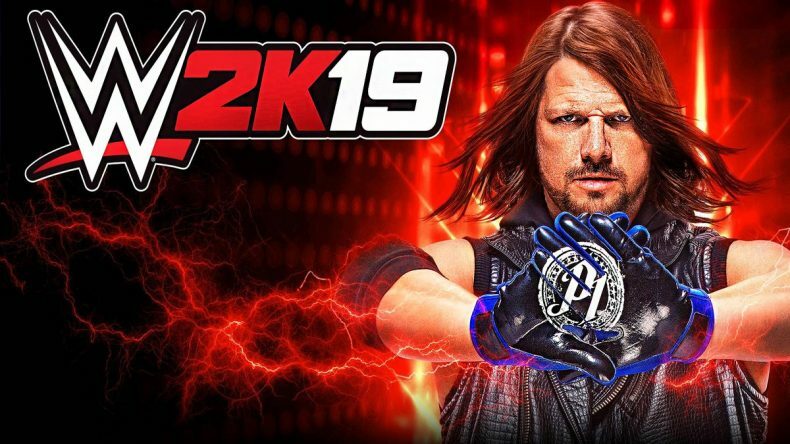 Despite these issues, WWE 2K19 is a vast improvement, and has plenty of modes and options to keep every kind of fan happy. The lighthearted block body mode sees wrestlers look like they’re in Minecraft, and the Big Head mode offers kids some fun. There’s also a cool filter mode that lets you change the environment to look like it’s straight out of the 80s or the 90s era. It finally feels like 2K Sports has found a strong platform from which to build the future of the series, and it’s a good feeling to have. It is a massive improvement for the series, with plenty of great modes to choose from, along with so many great wrestlers past and present to wrestle with. It finally feels like things are looking up for WWE 2K.